The Department of Investment and Public Asset Management wants any company capable of operating Air India to buy 76% shares in the national airlines. 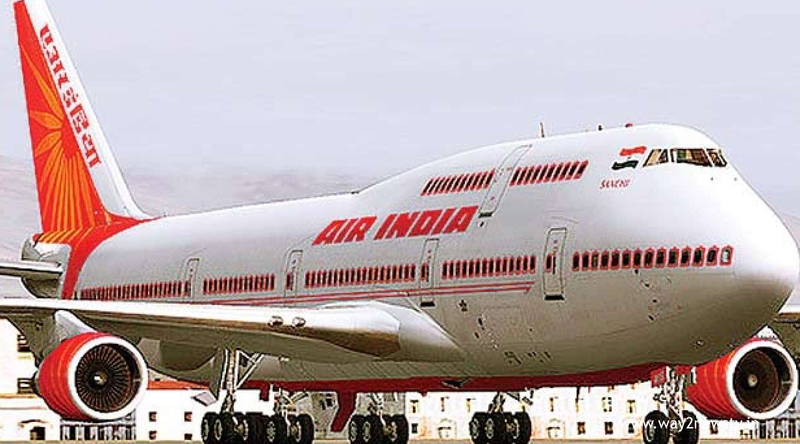 The government has released a Memorandum of Understanding to buy 76 percent shares in Air India. The share-holding company also manages management control. An official in the finance ministry said that there was also a significant response from companies in the aviation industry as well as companies to buy a share in the burden of debt. We do not expect airlines to come to take over Air India ... Neeraj said, "We need to bid for Everreen OK Air India, which is a net worth of funds. Bidder's economic ability to withdraw investments in Air India is a major achievement of the government, he said. The Bid document states that a net worth at least Rs. 5,000 crore should be made after the payment of taxes in three of the five financial years by the date of the introductory interest. The deadline for submitting bids is May 14. The company, which seizes this domestic airline, They carry an 'Air India' brand name for at least a few years for Air India business operations. Specifically, the number of years is specified in the Request for Proposal (RFP). Companies can either buy proposals separately or some companies can be created and offered as a consortium. The consortium can be combined with the Bank, Venture Capitalist, Financial Institution or Fund. The official said that the government will respond to the questions asked by the interested contestants. He said that the government is following the best industrial policies so there is no need to worry about the retrenchment. In Air India, the government will hold 24 percent shares. Those who take possession of Air India must have investments for at least three years. The transaction will also include Air India, its low-cost of Air India Express, and Air India Sats Airport Services Private Limited will also under the acquiring company.